We are glad that such research has entered the public domain, spurring discourse and seeking to inform legislation and policy. Of course, we take a keen interest in Cent-GPS’ research, which also employs field experiment methods similar to our work of about seven years ago. This methodology’s outstanding strength is that it observes actual decisions of employers – specifically, whether they are more likely to interview job applicants of one race or gender over other equally qualified races or genders. The work makes some useful contributions to public knowledge, although there are concerns over the veracity of their claim that the applicants in their study are identical and hence of equal standing in recruiters’ eyes. Nonetheless, Malaysia should take to heart the stark pro-Chinese bias, and lesser interview prospects for Malay and especially Indian applicants in the private sector. An added objective of their research is to investigate the effects of Mandarin requirement, to answer the vexing question of whether jobs that stipulate proficiency in the language do so to exclude non-Chinese applicants. On this, Cent-GPS gets it wrong. They fail to compare interview prospects of applicants to jobs that stipulate Mandarin versus those that do not. When we do so with their data, we actually find that racial discrimination is less in jobs that require Mandarin. A major difference between Cent-GPS’ experiment and ours is they send the same seven resumes, of different race and gender but supposedly equal in quality, to 547 jobs (for a total of 3,829 observations), whereas we generated 3,012 unique resumes and sent two Chinese and two Malay applications to each vacancy. We limited our experiment to male applicants, but varied them by quality while maintaining that on average the quality of applicants is comparable. We adopted what is termed the “correspondence” method used by the vast majority of resume-based field experiments on hiring discrimination; Cent-GPS approximate an “audit” study, more commonly used in subjects such as discrimination in rental markets, which involve face-to-face encounters. Cent-GPS’ findings critically hinge on the resumes being identical, or almost identical, in quality. We appreciate the detailed explanation they provide of their research design and process, and the decisions they took along the way. They were right to avoid sending seven perfectly identical applications except for name and photo, which might arouse suspicion. All applicants have a similar CGPA and are graduates of local private universities, thus avoiding the complications of the public universities and preferential policies. However, some concerns have arisen – based on an image of the draft resumes – that the seven applicants are considerably different. Cent-GPS’ points out that Gabriel and Saddiq, both graduates of the same university, as examples, but others appear to hold quite different degrees, and are far from identical in other ways. We hope Cent-GPS will clarify these overhanging questions. Nonetheless, the disparity between the most preferred and least preferred applicants is disturbingly wide, even if questions remain over their equivalence in quality and appeal. On discrimination favouring Chinese versus Malay applicants, Cent-GPS’ findings are consistent with ours. 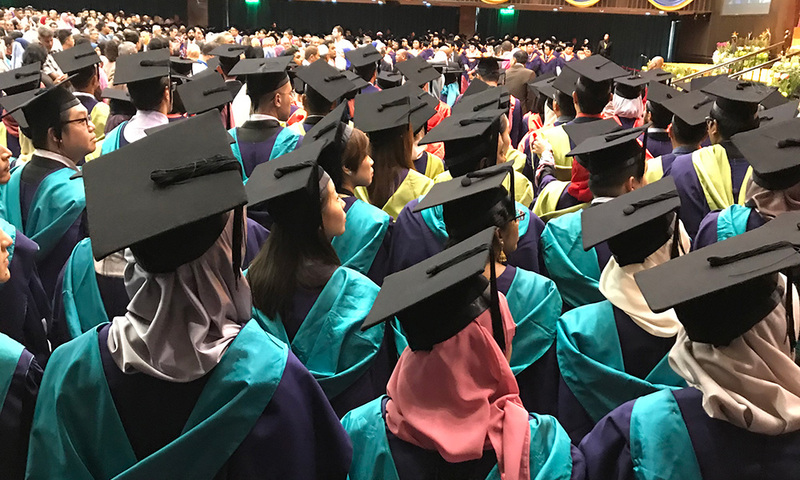 Indeed, the closest match to our results – disparity between male Chinese and Malay – are also perhaps the most credible, due to both Gabriel and Saddiq graduating from the same university. Cent-GPS extended the applicant pool to include Indians, and in doing so find that discrimination against Indian applicants is worse. They observe that a Malay woman who wears a headscarf is less likely to be called for an interview than her counterpart who does not. Cent-GPS’ attempt to address language requirements in job ads commits a more fundamental error. Our study also addressed this question, particularly the one most recurrent in our popular discourses: when Mandarin language requirements appear on job ads, are they genuinely job-related? Two principal lessons emerged. First, making conclusions about discrimination based on candidates’ language abilities and language specifications in job ads is not simple and straightforward. In our study, we looked up the shareholdings and directorships of companies in our sample to construct a profile of ownership and control. We found that 35 percent of Chinese-controlled companies posted Chinese language requirements, while 22 percent of foreign-controlled and 10 percent of Malay-controlled did so. Malay-controlled companies posting Mandarin language requirements suggest that proficiency is probably needed for the job, not a pretext to exclude Malays and other non-Chinese. Cent-GPS notes that it did not target companies based on ownership. But they end up tarring all employers who post Mandarin language requirement with the same brush. Would Chinese and Malay companies equally put up language requirements as a “smokescreen” as Cent-GSP suggests? They do not expressly say that the study depicts scenarios of Chinese employers preferring their own kind, but the omission of company profile and simplistic analyses can easily allow such demonizing stereotypes to prevail and stoke rage. Second, most of the evidence and the underlying intuition indicate that language requirements are probably legitimate. We varied the capabilities of applicants; hence, we ensured that some resumes stated Mandarin proficiency, while others did not. We found that self-declared Mandarin proficiency gives an advantage to both Chinese and Malays. A Malay applicant who indicates fluency in Mandarin stands a better chance of being interviewed compared to a Malay who does not. We also compared interview prospects based on language requirements. We found that jobs stipulating Mandarin were more likely to call Chinese than Malay applicants – but this is the expected result. If companies want native Mandarin speakers, we would expect them to gravitate to ethnic Chinese, who are more likely to be fluent. Any claim that that Mandarin language requirements are a screen for blocking out non-Chinese applicants would need to be supported by evidence that those job ads do not call any Malays. Yet some still do. Again, our findings give us no grounds to deny that language requirements are genuinely job-related. Cent-GPS did not vary their applicants’ language ability; they are totally identical in stating “intermediate” Mandarin proficiency. The only variation stems from language requirement. The study seems to be set up to compare the results of jobs that post Mandarin as a needed skill versus those that do not. This is plain wrong. The severe assertion is baseless, the loaded wording reckless. The question is: what difference does the job posting’s language requirement make? The relevant statistic is not whether Nicola and Gabriel continue to get more callbacks than the non-Chinese in jobs that require Mandarin proficiency. The study has established that bias. The paramount comparison is between the callback of jobs requiring Mandarin versus those not requiring Mandarin – for each of the seven candidates. From there we can also look at racial gaps. Interestingly, Cent-GPS grasps the need to make the precise comparison when investigating the consequence of wearing a headscarf. They isolate the difference by comparing callbacks of a Malay woman pictured with headscarf versus a Malay woman not wearing one. On Mandarin language, however, they are off track. Table 1 shows the Cent-GPS’ seven applicants, and each ones’ callback rates for jobs requiring Mandarin as reported (column B). The following is what the study should have done. Based on Cent-GPS’ disclosure that 10 percent of the 547 jobs applied to posted Mandarin as a requirement, we calculate callback rates for jobs that did not stipulate proficiency in the language (column A). Almost all applicants register a higher callback rate in the jobs that require Mandarin. Nicola and Gabriel do slightly better, but stunningly, Thivakar’s and Saddiq’s callback rates improve most of all! Thivakar’s chances rise threefold (3 percent to 9 percent), Saddiq’s more than double (7 percent to 15 percent). We can further calculate the racial disparity – that is, the ratio of Chinese callbacks per Malay or Indian callbacks (Table 2). This reflects differences in the magnitude of discrimination. The result is the exact opposite of Cent-GPS’ claim: racial disparities are smaller in jobs requiring Mandarin. Where do we go from here? We reiterate that publicly disseminated research like Cent-GPS’ is welcome. On this issue, all sides are prone to preconceived, prejudiced and sweeping conclusions. 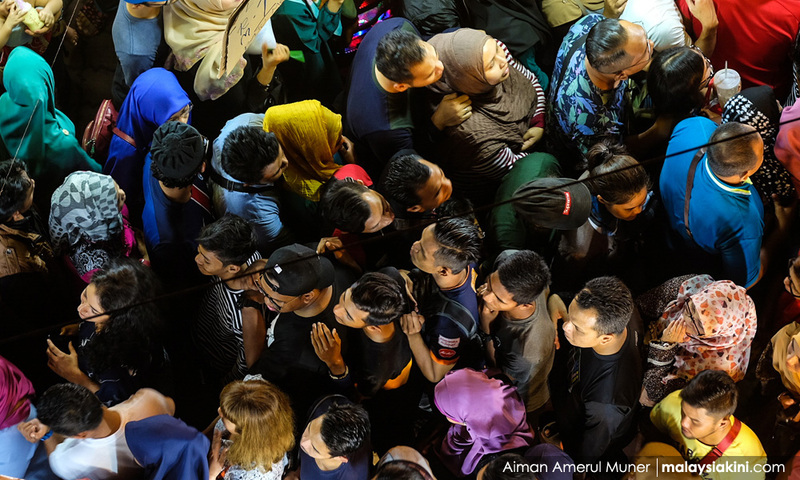 We urge Malaysians to avoid reactively dismissing the totality of the study based on specific contentions, displeasure with the findings, or Cent-GPS’ political affiliation. We also appeal for all to avoid rashly taking the results to reinforce hardened and polarising stances. One familiar refrain on social media faults Cent-GPS for only covering the private sector. Our research attempted to include the public sector, but we could not, due to practical obstacles, as well as a lower volume of job openings within the research timeframe. It would be good for field experimental research to be attempted on the public sector; Cent-GPS indicated that it will look into it. For now, what we have are studies of the private sector, and this is an opportune time to reiterate that this limitation does not in any way invalidate the findings. That we have only studied the private sector means our work has a specific scope, not a generic flaw. Cent-GPS provides some helpful insights. This is not the space for a fuller discussion of fair employment laws and practices, but Malaysia needs perspective and a measured regulatory framework, which must apply across both private and public sectors. This is consistent with the Budget 2019, where the government stated that it will review labour laws to prohibit discriminatory practices by employers. Perhaps it is timely to revisit the 2010 recommendation by the NEAC to establish an equal opportunity commission, or fair employment commission, to combat discrimination against any Malaysian, in all sectors. On the language issue, we must underscore the need to restrain rhetoric and dial down the heat. We believe Cent-GPS got it wrong, and Malaysia’s public and political discourses tend to holler the same misguided chant, and selectively too, in typically lambasting Mandarin requirements while never complaining when jobs stipulate Japanese or Arabic language. In many ways, language proficiency is a legitimate job requirement, but Malaysians need to flesh this out, to arrive at a national consensus on when it is justifiably a hiring criterion and how the labour market can function more effectively and fairly in signalling job requirements to applicants. For instance, we could require job ads to furnish one or two sentences explaining why a language is required. It is better for such matters to be written in black and white, so they can be held to account, and monitored by public authorities. Issuing a blanket ban on language requirements in job ads, besides misdiagnosing the problem, also restricts the grounds to regulate practices, and potentially curtails the intermediary role of the job ad in reaching out to the applicant pool – as well as sparing those who do not possess a skill the futile effort of applying to jobs that require that skill. Much work remains to be done in monitoring discrimination, promoting diversity and regulating employment practices in general. Let’s critically and constructively welcome more research, and strive for a clearer and firmer grasp of the complex issues. LEE HWOK AUN is Senior Fellow at the Institute of Southeast Asian Studies while MUHAMMED ABDUL KHALID is a member of the Economic Action Council. 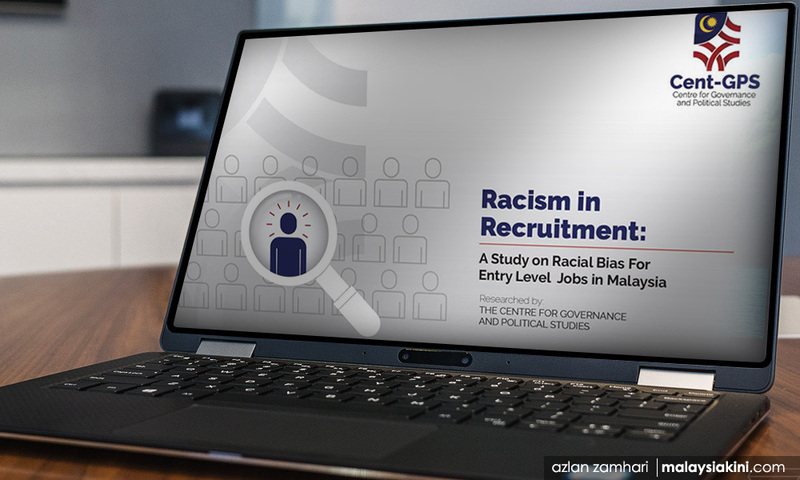 Their field experimental research on racial discrimination was conducted in 2011-2012 while, respectively, at Universiti Malaya and Universiti Kebangsaan Malaysia.